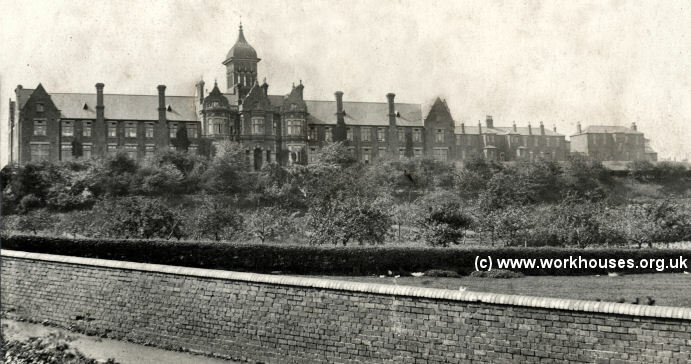 In 1869, the Walsall and West Bromwich unions set up the Walsall and West Bromwich School District. It was one of the few such bodies set up under a Poor Law Commissioners' scheme to encourage adjacent unions to operate joint Poor Law Schools. 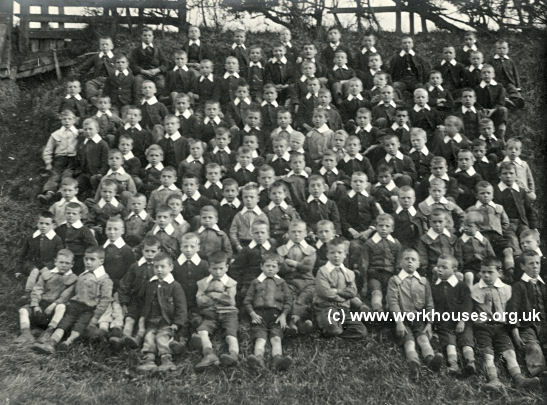 District Schools were intended to provide schools for the pauper children in their area located away from the workhouses, ideally at rural sites. 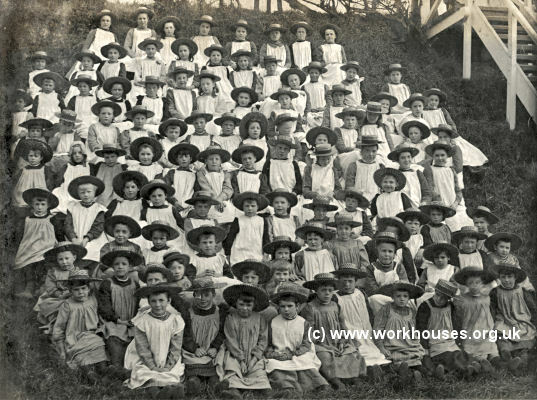 The boys learned industrial or agricultural trades, while the girls were trained for work as domestic servants or in factories. Wigmore main building from the east, 1904. Wigmore entrance block from the south, 1902. Wigmore entrance block from the south, 2002. 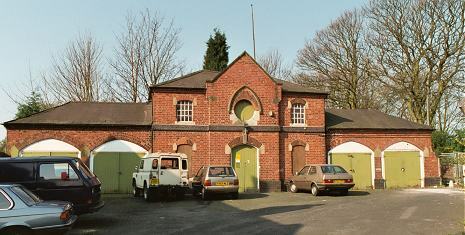 Wigmore stable block from the east, 2002. 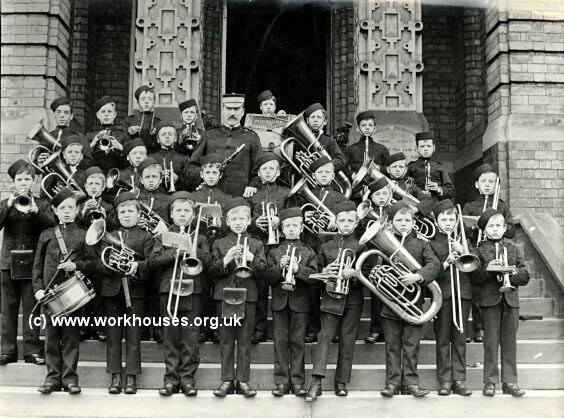 Wigmore School boys' band, 1902. 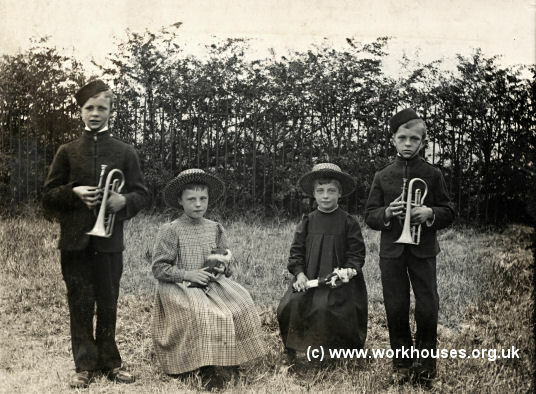 Wigmore School 'Brothers and Sisters', 1902. 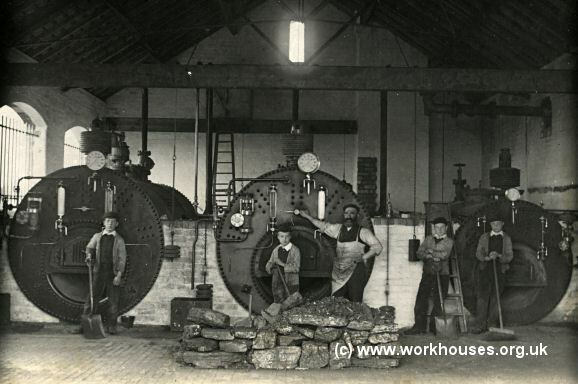 Wigmore School boiler house, 1902. 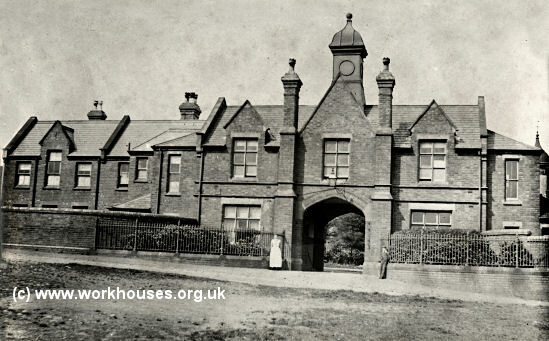 In the early 1930s, after the official demise of the workhouse system, many disputes took place between West Bromwich and Walsall over the running costs and allocation of places at Wigmore. 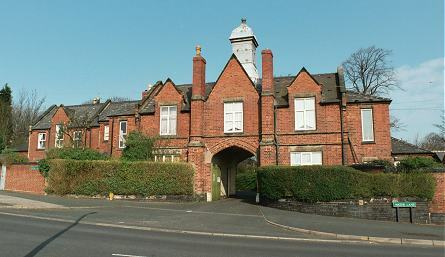 The school closed in 1935 and it was then converted for use as an Approved School. By the early 1950s, it had become offices for the Inland Revenue, then in 1966 West Bromwich Council took the building over for its Technical Services Division. 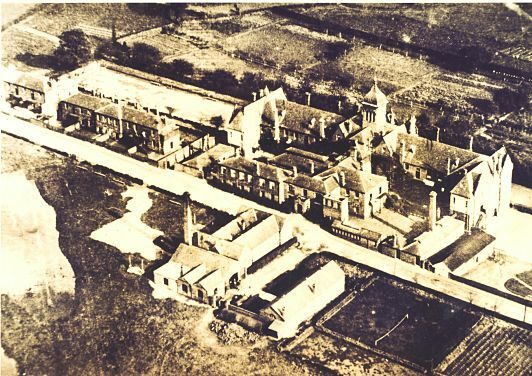 The main buildings were demolished in 2002 although the entrance and stable blocks at the south of the site still survive. Many thanks to John Billington and Nigel Haynes for information and pictures of Wigmore School.